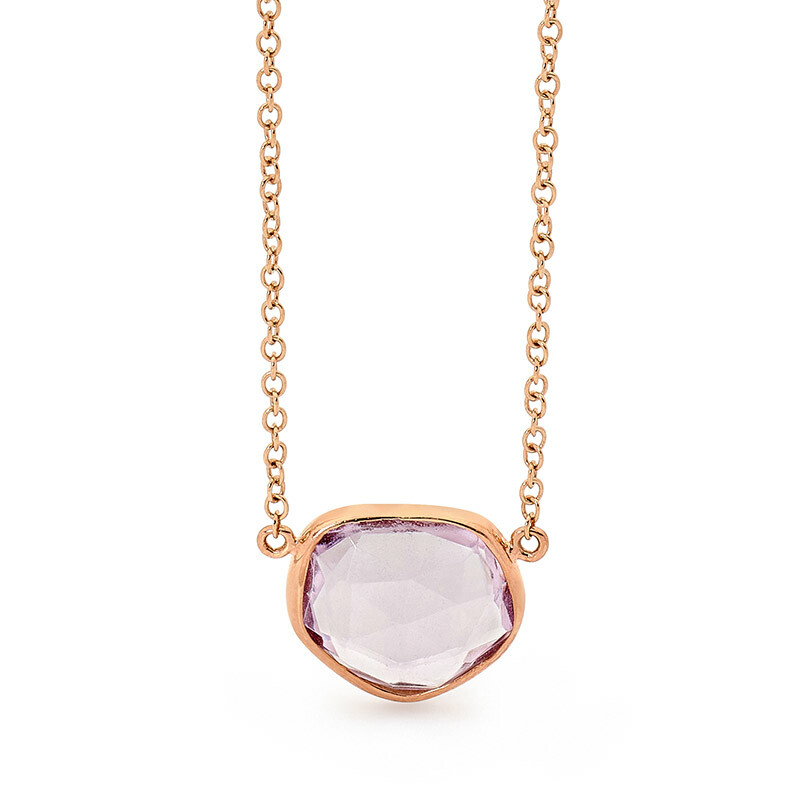 Heavenly Escape delicate necklace have a subtle hint of pink champagne colour gemstone. 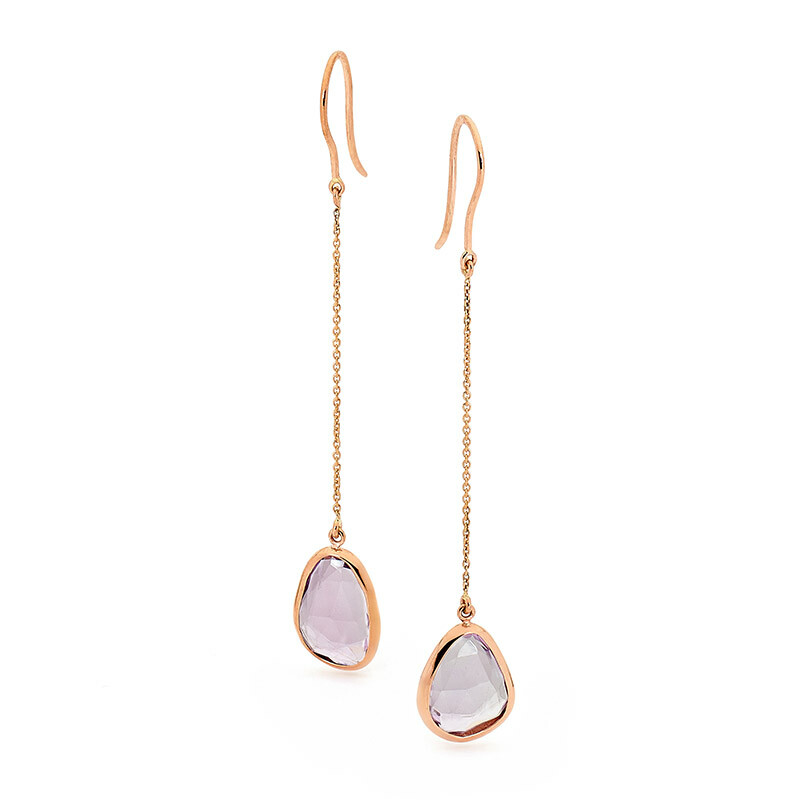 Featuring organically shaped rose cut pink amethyst it is set in 9 carat rose gold and has a modern twist on a classic design. 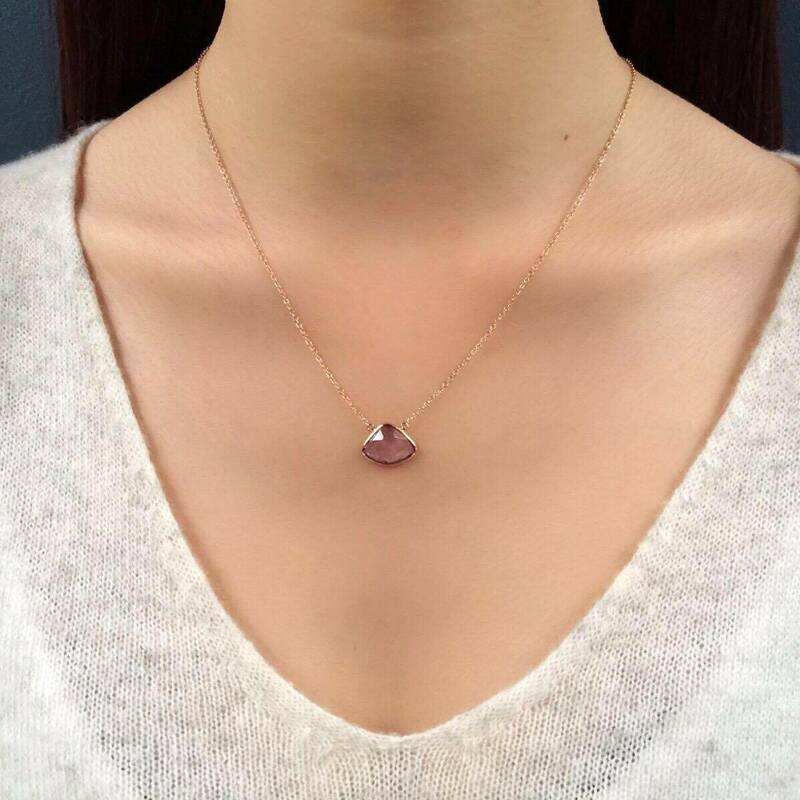 It comes complete with a quality 45 cm 9 carat rose gold chain with HJ logo charm.